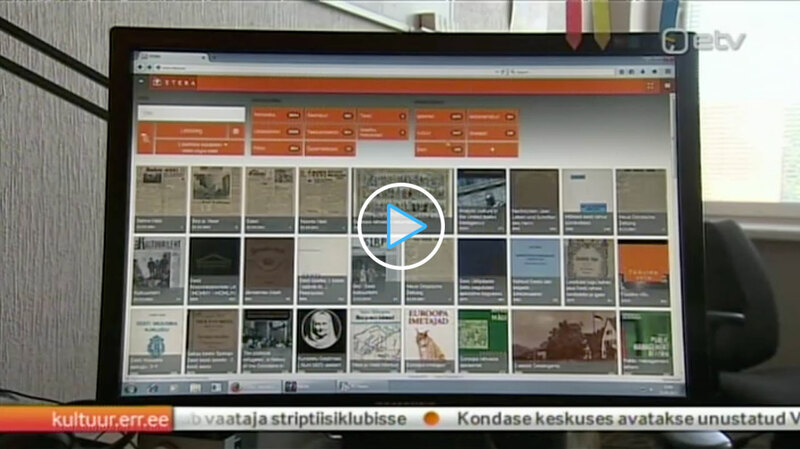 Estonian National TV (ETV), which is part of Estonian Public Broadcasting organisation has published a report about ETERA, a public Digital Library project which employs 12 people, digitizing 3 million pages per year. The project targets to digitize the whole national treasure of printed material in Estonia, which is estimated to around 50 million pages. In the first phase, ETERA.ee is focusing on scientific texts according to Mr. Andres Kollist, the Tallinn University Library Director. ETERA.ee is powered by MediaINFO Digital Library, a complete Digital Library software solution for interactive and intuitive viewing, browsing, searching, cataloging and sharing digitized content.